We need your help! 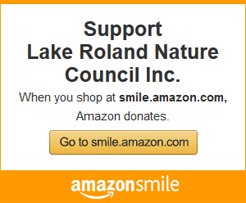 Make a donation to the Lake Roland Nature Center. 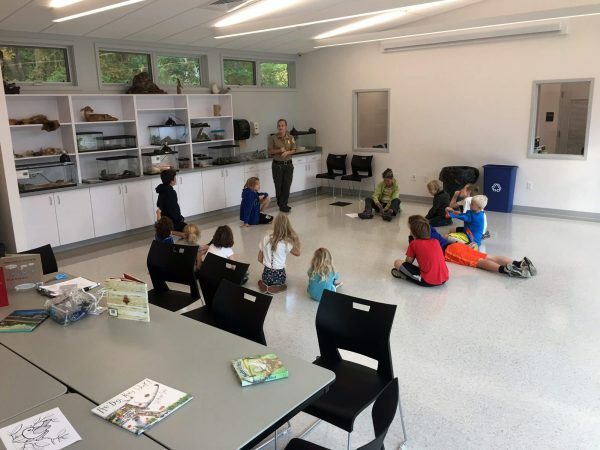 The Lake Roland Nature Council together with Baltimore County and the State of Maryland pledged funds to build the Nature Center. To date, the Nature Council is still raising funds toward the Nature Center. We have narrowed the gap to $149,484.00 out of a total building cost of $1.3M. 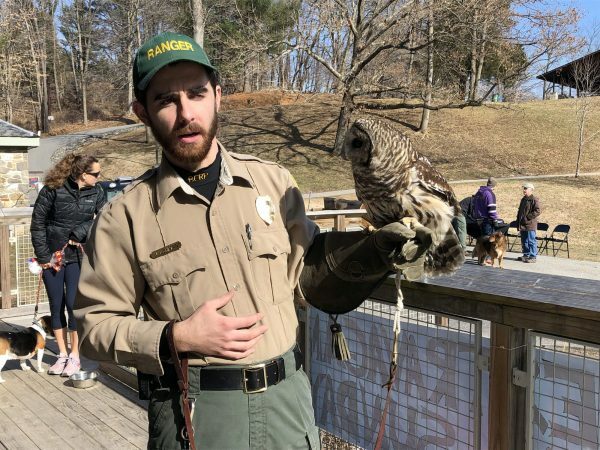 The new Lake Roland Nature Center has been a game changer for Lake Roland, states Kurt Davis, Lake Roland Nature Council’s President. 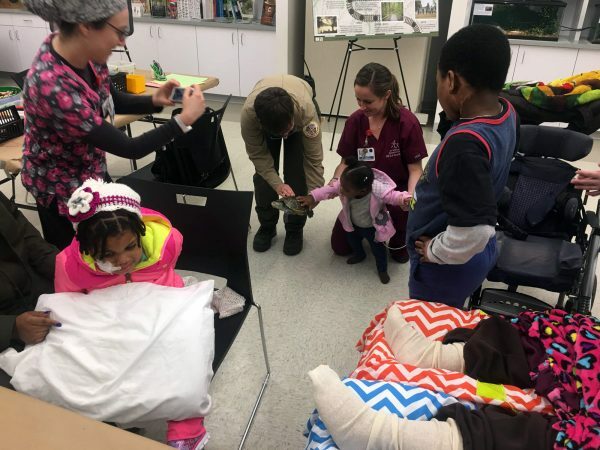 As a result of the Nature Center we can create programming and events to meet the needs of the diverse community that uses the park, including young people with special needs. Please help the Lake Roland close its funding gap by making a donation. Mt. Washington Pediatric Center patients making wreaths in the former event space in the Ranger Station. Park staff providing educational program on the porch of the Nature Center. Children captivated by staff during programming in the Nature Center. 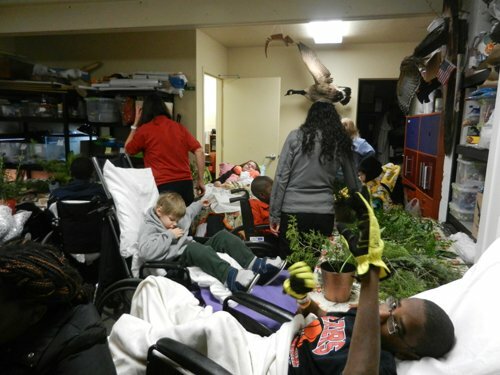 Children with special needs enjoying the benefits of the ADA programming space afforded by the Nature Center.